Director of Darul-Amaanah Academy Tahsiyn Ismaa'eel watches over swimmers from her academy Thursday, July 12, 2018 at Dr. Foster M. Brown Pool in Wilmington. Auliyn Brown, right, enters the water at Dr. Foster M. Brown Pool Thursday, July 12, 2018 in Wilmington. 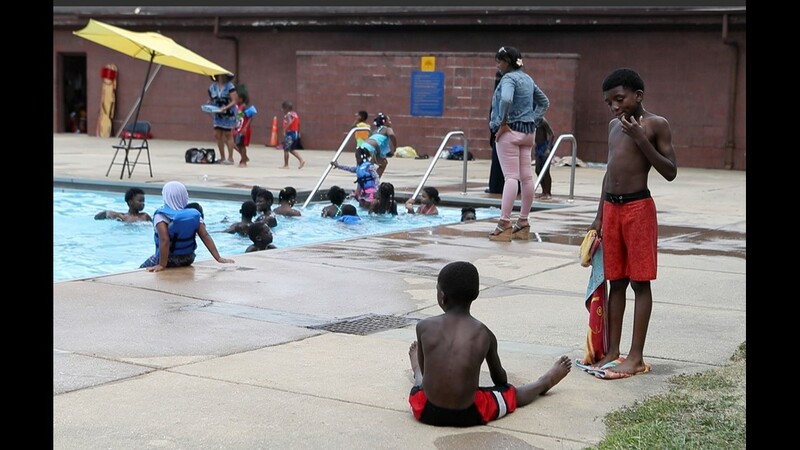 Kids play at Dr. Foster M. Brown Pool Thursday, July 12, 2018 in Wilmington. 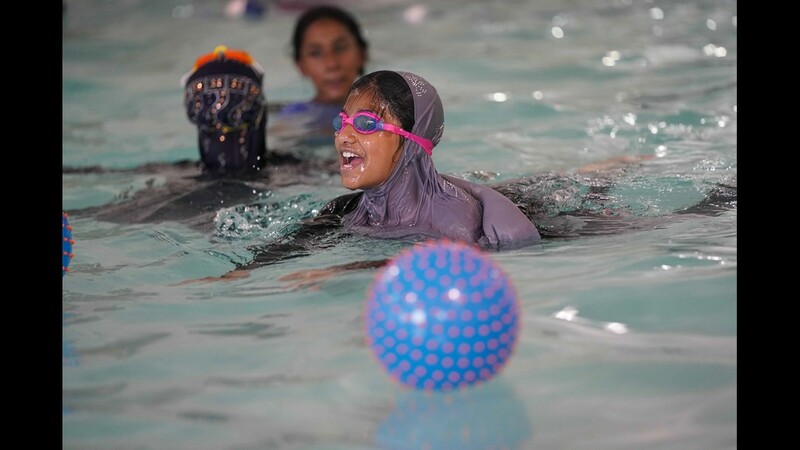 Maryam Baqir, 11, swims with customary muslim swim wear while swimming with fellow classmates at the Tarbiyah School in Newark on Friday at a private pool in Elkton, Md. 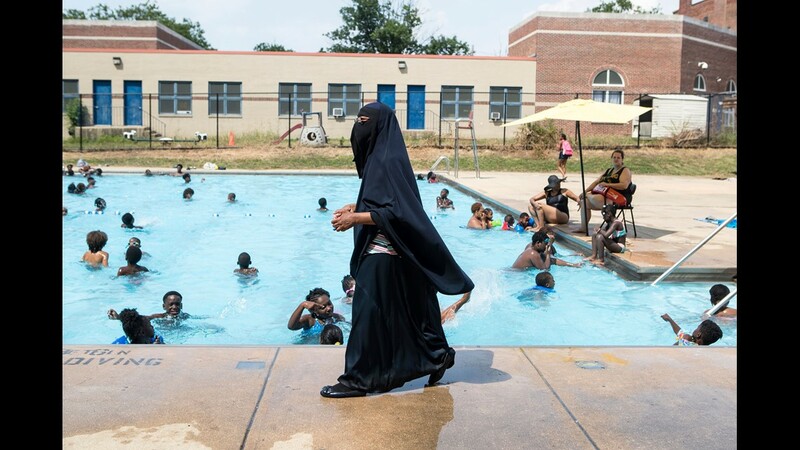 9 year-old Sumayyah Kunwar, a student at the Tarbiyah School in Newark, floats in the water wearing swimming attire that covers her whole body while visiting at a private pool in Elkton, Md. with her classmates so they can swim in attire suitable to their religious practices and not be discriminated against. Fatima Baqir, 10, swims with customary muslim swim wear while swimming with fellow classmates at the Tarbiyah School in Newark on Friday at a private pool in Elkton, Md. 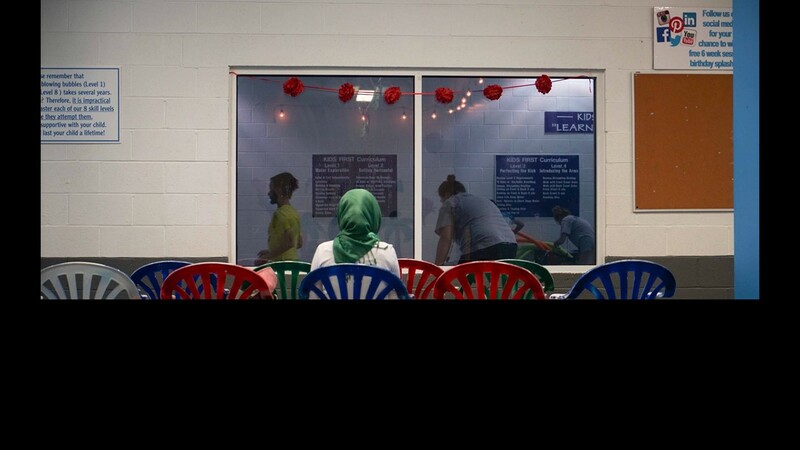 A Muslim women wears a hijab while watching students from the Tarbiyah School in Newark swim in a private pool in Elkton, Md. where they can swim in attire suitable to their religious practices and not be discriminated against. 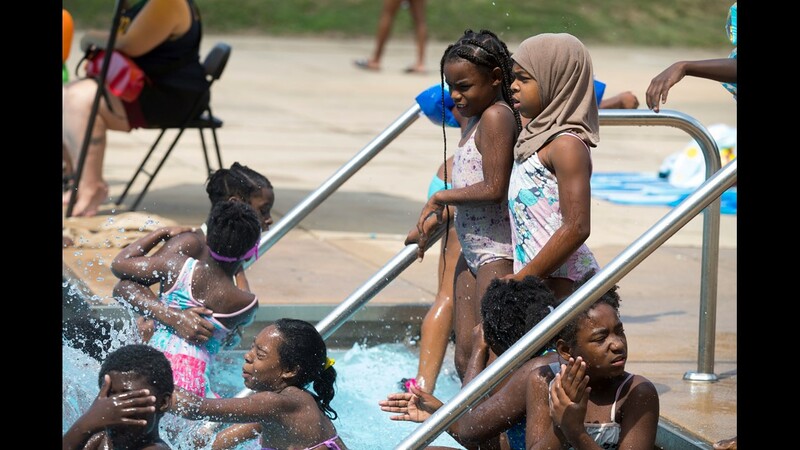 Fatima Baqir, 10, plays with her sister Maryam, 11, while swimming with customary muslim swim wear on a weekly visit with fellow classmates from the Tarbiyah School in Newark at a private pool in Elkton, Md. 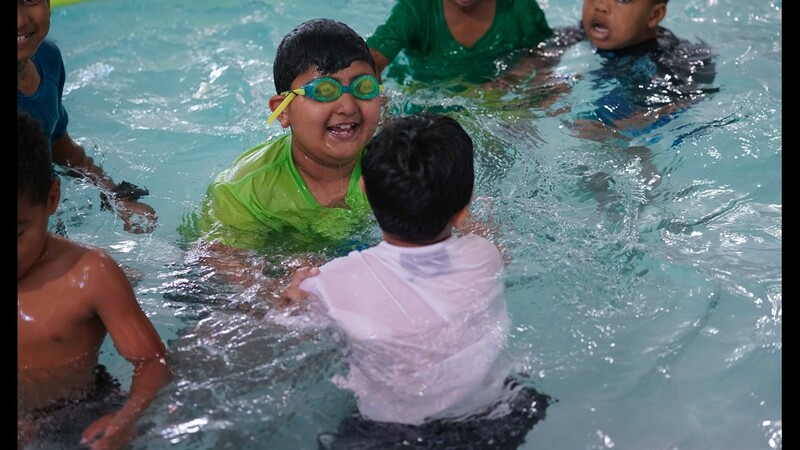 Abdul-Muizz Rehman, 8, a student at the Tarbiyah School in Newark swims with fellow muslim classmates on Friday at a private pool in Elkton, Md. 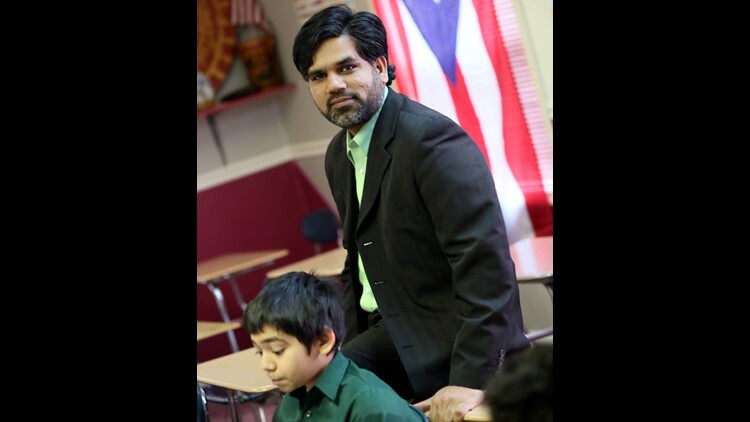 Naveed Baqir is the executive director of the Delaware Council on Global and Muslim Affairs.